Agenda: 3pm to 5pm theory and stencil,5pm-6pm spraying on the roof of AdoreSpace, dinner afterwards. Material: All materials will be provided, including stencil kit, colors, cutting tools. Drinks/Food: Drinks and Dinner are included and will be served after the workshop. Cost: $30 per person, payable through paypal at adorespace@gmail.com. You need to pay in advance to book your spot. Turn a photo into a "stencil." Spray it on a wall. Hey guys please promote this class I teach at 1AM. It's been going really well and I am trying to get them to carry some stencil making supplies as well. Stencil Class is Back at 1AM!! 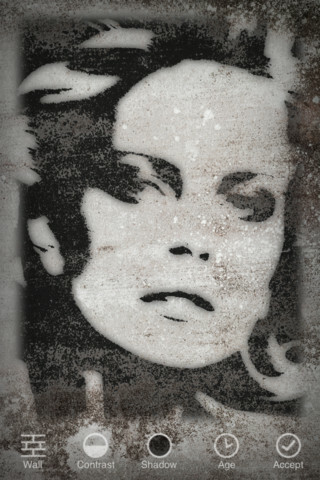 Have you ever wondered if you have what it takes to be a stencil artist? Do you like sharp things and spray paint? Feel the need to reject society’s conventions and make art that everyone can appreciate? Stenciling is used by several activist groups and governments; it’s an inexpensive tool that can have a huge visual impact on the community. Take a class in stencil making with a brief yet insightful history of stenciling with local stencil artist Jeremy Novy. Jeremy is known for his koi fish stencils found swimming throughout the city of San Francisco. Learn the meaning behind the Koi Fish stencil and how to design, cut and spray your own stencil. The class includes all supplies needed and a package of stencil making material. Xacto blades, markers, glue, and spray paint provided during the class only. Ninety percent. 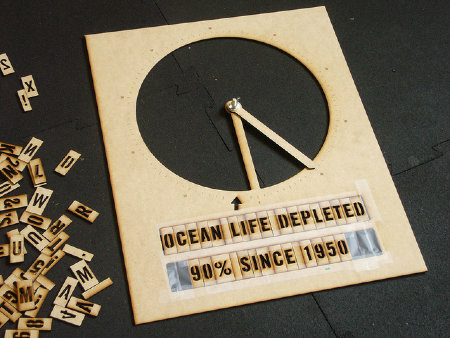 That's the amount of ocean life depletion since 1950 and a figure too dry to make most people pay attention. Presented visually, however, the statistic takes on new strength, and as a pie chart splattered in spray paint across an urban wall, the fact-as-street-art becomes unavoidable for any passerby. With the help of a new pie chart stencil by interactive media artist Golan Levin, creating politically charged graffiti just got a bit easier. The fully customizable "Infoviz Graffiti" toolkit allows users to quickly swap out the numbers and letters and adjust the slice of the pie.